Soundshield Wireless takes the wireless headset experience to a greater level. Uniquely designed for contact centres, the Soundshield Wireless will take pride of place on any desk while providing contact centre agents with simple call controls, HD Wideband Sound Quality and theUnsurpassed Acoustic Protection that the Soundshield brand is renowned for. The Soundshield Wireless colour touchscreen is easy to use and provides contact centre agents with frequently used call controls right at their fingertips. 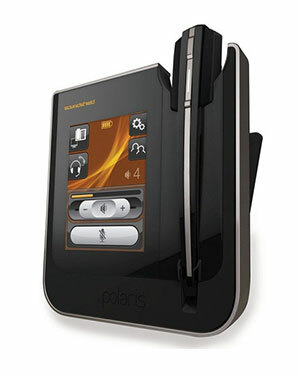 Polaris spent countless hours surveying contact centre workers and observing their work practices to determine the optimal layout and functionality of the colour touchscreen in order to ensure that it is as user-friendly and intuitive as possible. Because the telecommunications world is rapidly moving towards Wideband sound, Polaris has designed the Soundshield Wireless with HD Wideband Sound Quality up to 8kHz, the widest wideband technology of any wireless headset. 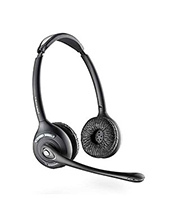 This creates a more comfortable experience for the headset wearer and allows crystal clear conversations. The Soundshield Wireless uses Polaris’ patented Sonaron™ software which provides HD Wideband sound quality, as well as Total Shriek Rejection™ which is found in every Soundshield device. By completely removing potentially dangerous, sudden sounds and high-pitched noises, the Soundshield Wireless protects the headset wearer from Acoustic Shock. HD Wideband Sound Quality. Excellent intelligibility and sound quality. Digital Sound Processing (DSP) technology provides the best High Definition (HD) Wideband voice processing in any wireless headset and ensures excellent intelligibility and sound quality. Intuitive Touchscreen provides Full Call Controls and easily lets you change your settings: Volume Control, Microphone Level , Tone, Display, Mute, PC/Desk-phone Switcher and Conference Calling. Unsurpassed Acoustic Protection (using Sonaron™patented Shriek Rejection Software) - total protection from Acoustic Shock caused by sudden and unexpected loud noises and high pitched sounds. 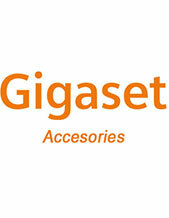 Additional Protection in the Headset - ensures highest level of acoustic protection; more than any other wireless headset. Sound Level Limiter - Ensures that the maximum headset sound levels are lower than the ACIF G616 Guidelines and protects you from long term exposure to loud noise. 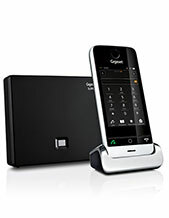 Up to 150m Wireless Range - flexibility to move away from your desk while on a call. More than 13 hours Talk Time in narrowband mode and 9 hours Talk Time in wideband. Longer than any other wireless headset. Effortless Desk-phone / PC Switching - The Phone / PC functionality is perfect for Contact Centres that implement Online Training Programmes such as e-Learning or Quality Assurance Training; as well as those with UC or soft-phone capabilities. Noise-cancelling microphone - minimises the amount of background noise that is transmitted so that your voice is more clearly heard. Side-by-side or Remote Supervisor Coaching or Training - ready access to agent call conversations for coaching or training purposes. Touch Pairing - simply dock your headset to the base for automatic pairing to occur. Conference Call up to 4 people - the intuitive touchscreen provides you with a simple interface to easily initiate and conduct conference calls. Noise Dosimetry Software - Easy-to-read Graphs empowers Contact Centre or OH&S Managers by enabling them to monitor and control the noise in their contact centres. Full support through the Polaris Customer Service Programme.